Stock status is current as of 4/24/2019 2:01 PMET. 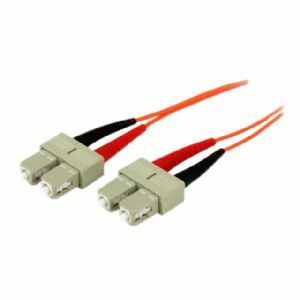 Provide a high-performance link between fiber network devices, for applications requiring plenum rated cables. The 50FIBPSCSC3 3m SC to SC Plenum Fiber Cable features 50/125 micron fiber for high-speed, high bandwidth data transmissions over Gigabit Ethernet and Fiber Channel networks, with support for duplex multimode applications.